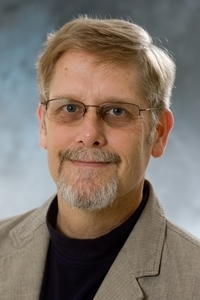 John Hubers is assistant professor of religion and director of global education. Among his responsibilities are overseeing Northwestern’s semester programs in Denver, Oman and Romania; working with faculty and students in planning summer study abroad courses; and exploring sites for establishment of future study abroad programs. Hubers earned a doctorate in world Christianity and global mission from the Lutheran School of Theology at Chicago. He has 13 years of experience living in the Middle East, where he initially taught English and then served as a pastor of congregations in Oman and Bahrain. Upon returning to the United States, he pastored a congregation composed primarily of students from the University of Michigan before joining the Reformed Church in America's headquarters as the denomination's supervisor of mission programs in the Middle East and South Asia. Most recently he was senior pastor of the Reformed Church in Plano (Texas). Hubers' areas of expertise include Christian Zionism, ecumenical and interfaith relations, and the history and current practice of Christian mission among Muslims.